Chiropractic care is a natural method of health care that focuses on correcting the causes of physical problems fromsubluxations or misalignments of the bones in the body, especially the spine. Chiropractic is the kind of health care that is holistic, which improves people’s lives by optimizing the functioning of the nervous system, so the body is able to function better. A healthy nervous system has the ability to resist disease and ill health. Chiropractic restores the body’s ability to have a healthy nervous system, thereby increasing the body’s immunity and resistance to illnesses. 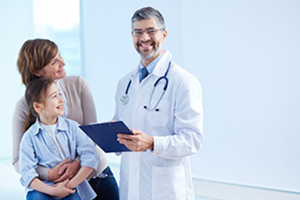 When Orthotic care is needed, it is important that the health care professional providing these services is properly credentialed as our experts. Individually formulated for each patient, medication agent treatment is provided to treat any underlying pathologies, helping to create a much improved healing environment for the patient. 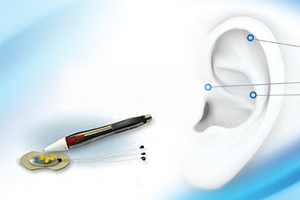 This enhances the value of treatments to come and speeding the time to treat and heal. RF technologies using the NEUROTHERM® machinery are designed for chronic and resistant pain management over the spine when drug therapy fails. It burns the nerve endings responsible for the pain in the body according to “the pain map”. Professional athletes cannot be treated the same way like regular people; Their injuries and bodies are different. 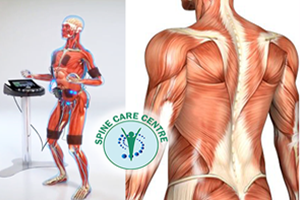 Through training, nutrition, rehabilitation, and sport science services, we provide the support needed to help your team meet its goals.Using special machines & specialized team of physicians & trainers, SCC is the most advanced platform in the Middle East for professional athletes’ treatment & rehabilitation. Based on the latest discoveries on “feedforward” (the nervous system’s innate ability to anticipate movement), MOTION LAB is a unique technology that improves physical abilities while strengthening core posture muscles. For more than 90% of the most common spinal and neuro-muscular conditions, MOTION LAB relieve tensions, regain strength and flexibility on the first session. Protocols to rehabilitate your entire body, back, arms and legs are available. Intervertebral Disc Decompression is a cutting-edge non-surgical technology providing decompression therapy of the spine in a series of treatment sessions that are specifically and individually designed by the physician for each patient. IDD targets the disk in question specifically to provide negative inter-disc pressure, improve blood flow and hydration at the problem site, increase nutrient absorption both generally and specifically and create the best possible healing environment to improve and cure spinal disease. 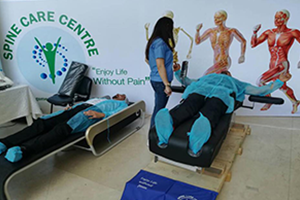 The IDD is targeted to each patient’s specific medical condition and is adjusted on an ongoing basis by the physician according the healing response observed by the treatment plan, rapidly reducing pain for those patients suffering with low back pain. 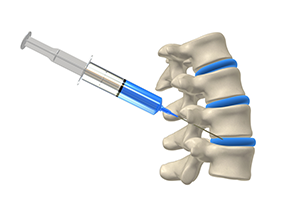 Spinal Injections target the exact site of a patient’s spine problem, is an integral to the SCC treatment strategy and can be truly crucial in some treatment-resistant cases. As a kind of “stepping stone” in the treatment protocol, an epidural block complements the other treatment modalities by helping to relieve pain symptoms, reduce edema and inflammation at the disc and focusing treatment efforts on the true cause of back pathology. 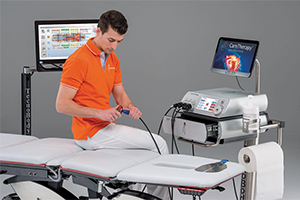 The CERAGEM Master V3 features a spinal scan technology never seen before in conventional automatic thermal massagers, and automatic up-and-down function of the APMS (Advanced Projector Moving System) offering a thermal massage that accommodates your body. By using the 6 levels of intensity control and 12 massage programs, thermal massage can be personalized to suit any physical condition. Training with power currents is becoming ever more popular, so-called current training is gaining more and more ground. But what makes AMPLITRAIN training so popular? We live in a highly technical world, in which most people have little time and want to have quick uncomplicated solutions to their problems. AMPLITRAIN offers that exactly. This is the only German Medically certified machine EMA & EMS for muscle building and Fat burning. PRP stands for Platelet Rich Plasma in which patient’s own blood is used to treat the painful condition. PRP releases a high concentration of growth factors and even stimulates stem cells to bring about healing of damaged and degenerated tissues. It is a popular treatment of injuries of the shoulder, elbow, knee, and is now being explored for its use in discogenic pain. 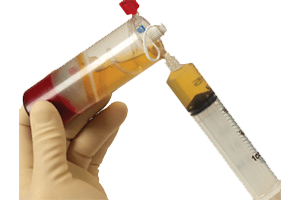 PRP is an FDA approved, minimally invasive and less costly option compared to surgery. Isolift is an ideal and reliable tool for enhancing the treatment of patients in sports professionals suffering from muscle and joint injuries, or to improve skills of movements. 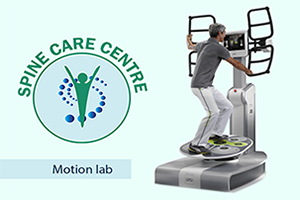 The effective 3D camera monitoring enables the trainers to discover the weakness of the muscle or joint and promote personalized exercises to improve patient compliance and fast rehabilitation. 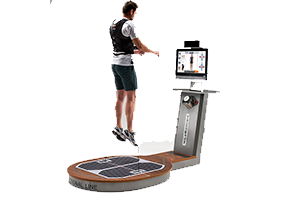 ISOLIFT is the world’s first cable machine that incorporates the ability to recognize the movement and the balance for a controlled and effectively training. 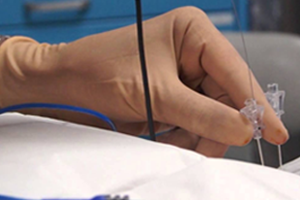 ISOLIFT with its down-up cable is specific for all training of upper and low limbs. 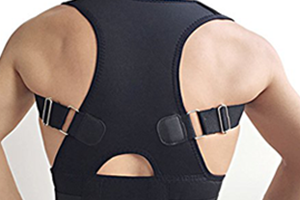 It can be used for sportsmedicine and rehabilitation. Virtual Rehabilitation offers the possibility to be precisely adapted to the patient’s therapy and to be specific. VR environments can provide realistic training for the patient in different scenarios and phases of the rehabilitation. The high flexibility and programmability of VR enable a therapist to set a variety of controlled stimuli, monitor patients’ responses in the virtual rehabilitation, and offer clinical assessment and rehabilitation options that are lacking in traditional methods. Patients are situated in a lifelike but virtual environment, allowing all activities to be carried out safely. 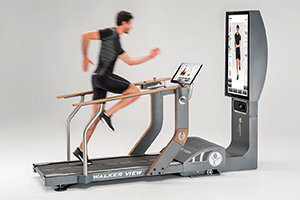 WalkerView, the innovative TecnoBody postural treadmill, allows the subject and therapist to have real-time feedback on parameters such as length, symmetry and load management about the step, all by immersing the patient in video or virtual reality settings, a small diversion to make rehabilitation less heavy and boring.